Sotanghon Guisado is a noodle dish made from sotanghon. It is also known as rice noodles. The term “guisado” was derived from the Filipino word “gisa” which means to sauté. You can use some of the boiled chicken you have made if it's too much for the recipe. You can either use it for arroz caldo or chicken spread. 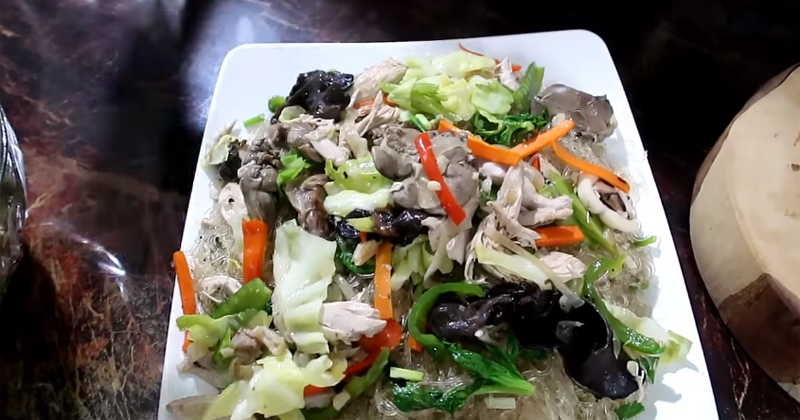 Eat the pancit sotanghon as it is or you can have it with steamed rice.